On Wednesday morning I launched a campaign on Etsy. Yes they started their own platform to crowdfund campaigns. They contacted me a few months ago to be included in their beta run. I said YES! 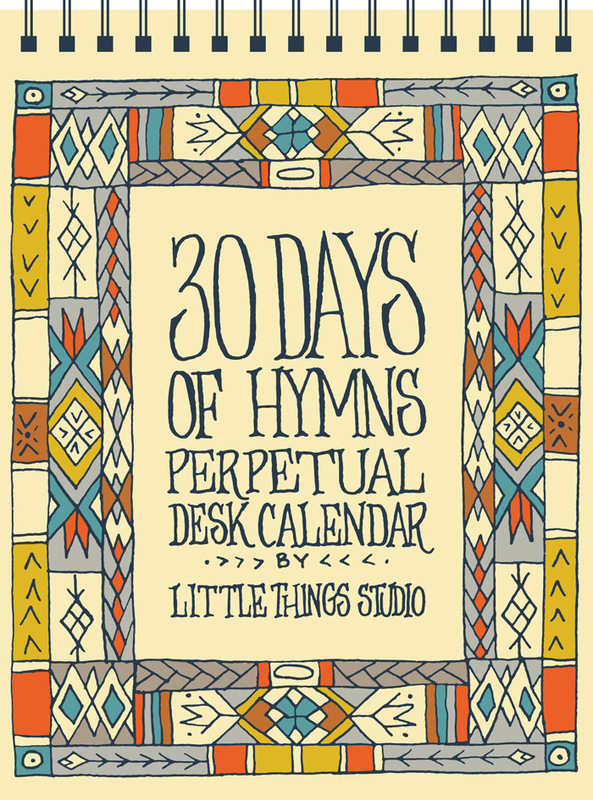 I came up with the idea to make a hymn calendar that wouldn’t expire. 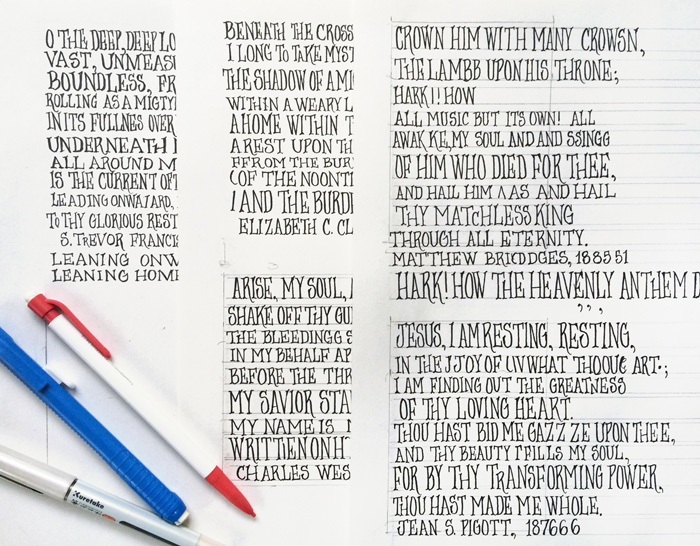 And I thought of the flip calendars that Hallmark would sell with “365 uplifting quotes or whatever.” And I wanted to make it cool – with my artwork combined with old hymns. 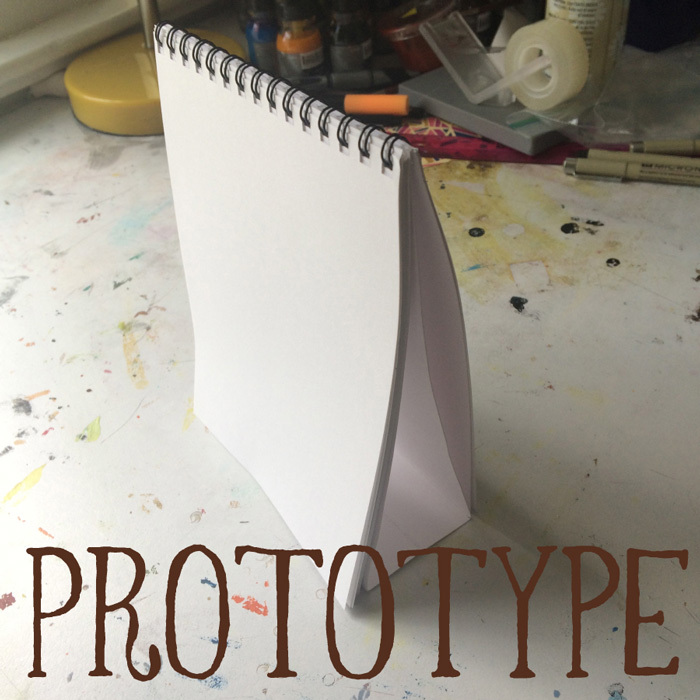 So I worked with my printer to make a prototype and figuring out the cost of these. Then we bought a house in East Nashville in May! We’ve been saving for it for a really long time. 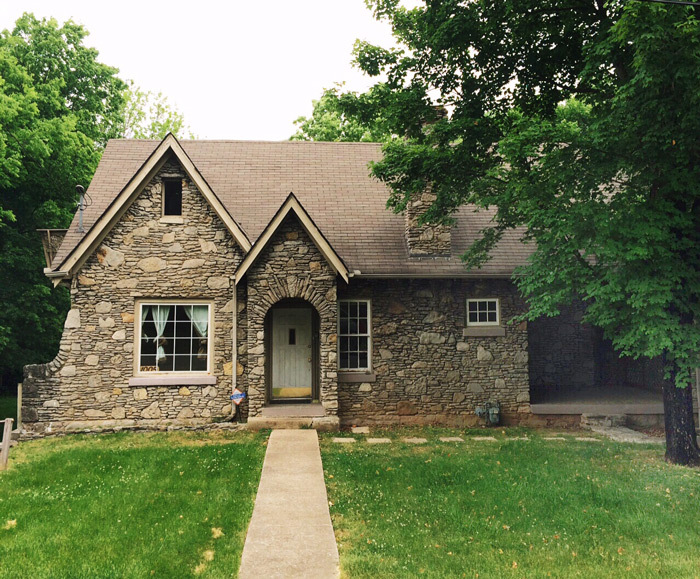 We knew we wanted a fixer-upper because we wanted to do the work ourselves and do it well. So many house flips are done poorly and you end up having to repair all the work that everyone else did. So here is our 1938 stone English Tudor home. We are absolutely in love with it. We aren’t sure when we are able to move in because we are still doing a lot of work to it. I’ll have to share the before and after photos once life settles down. Okay back to the 30 Days of Hymns. I knew I needed to raise money for to make the calendar happen. And Dave and I both don’t like debt (except for the house and we are going to hustle to pay it off!) The campaign launched two days ago and the funds have already been raised for it! I am hoping to raise at least $6,000 now so that I can order more desk calendars. Here is the promo video for the campaign. Emily Capo made the video. It’s only 3 minutes long. Click play. I think you’ll like it. Emily wrote the script. She did an absolutely amazing job. If you are in Nashville and need video work, call her. To support the campaign, you can click here to pre-order the calendars. I’m in the midst of making the artwork for the calendar. I created a separate instagram account JUST for the campaign. I post a lot of process photos. 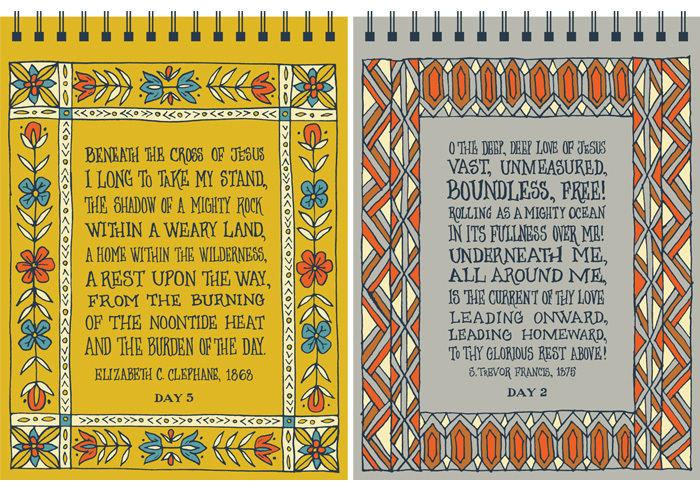 I still haven’t decided on the border for the cover and the colors of the calendar. If you want to be in the know, follow on Instagram.